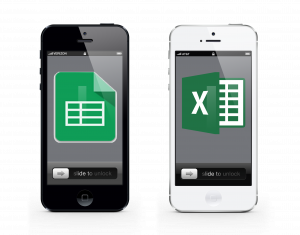 Yes, you can text customers from Excel and Google Spreadsheets. All of these and more, are so simple to do! We built the ability for businesses to send texts directly from Excel (and Google) spreadsheets using OwnerListens, Zang.io, and our Zapier integration back in June, 2017. An ecommerce store has a delivery status flow where customers can opt in to receive tracking information via text. However, that flow ends at final delivery. The store is currently sending texts manually to get feedback and solicit reviews after the purchase. Two out of ten people (20%), leave a review when normally review rates are 1-3%. Now, with IMpower, the store keeps a running list of customer ship dates and cellphone numbers. In this case, the list can be extracted from their ordering system but of course you could also create it manually. Customer contact info and shipping dates are pasted into the texting spreadsheet and it fires off a text three days after delivery. Note the time is always set to 11:30am (in 24 hr format) to avoid any time zone issues. Messages are sent based on the business time zone (in this example, EST) but customers may be anywhere in the US. You could adjust timing by customer manually if desired. Also note that the store mentions this will be the last programmatic text sent. Even though the store has permission to text the customer, it still needs to be prudent about using this in a non-spammy, non-intrusive way. This private wealth manager is keeping notes and taking the time to customize each message. It may be automated sending but there’s still a personal touch. Setting this up takes about 20-40 minutes a week depending on how many clients have birthdays that week. This would take a lot longer if it had to be typed up on a cellphone. When the client replies, the reply is sent just like any other text conversation on IMpower – to our dashboard, to the user email, and to user cellphone. The wealth manager says 90% of his clients reply, helping him cement the relationship and create a personal bond. A parts supplier for heavy machinery is keeping track of part orders and arrivals with a spreadsheet. They decided to send a text when a part arrives or a job is completed and ready for pickup. Before texting, the parts department was calling and leaving messages which was a huge waste of time. In this spreadsheet there are three templates for text messages based on the order’s status. The parts department selects the right template, pastes it in the row for that customer, fills in part name, and adds the date to the “date” column. The time column is left blank because the text is to be sent immediately (within the next 5/15 minutes). Also note column “I“ that uses the Len function to count the number of characters in the message so the business is aware of how many text messages the customer will receive (160 standard characters = 1 test message). Let’s face it: people don’t read all their emails. They glance at best. With a remote workforce or third party contractors, getting information out to everyone is even more challenging. This company is utilizing texting as the best way to disseminate time sensitive information. The innovative aspect of this spreadsheet is the use of an “If” statement to trigger a text. The spreadsheet tracks component inventories. If inventory of a key component drops below a certain number in a region, all salespeople in that region get a text so that they know to adjust shipping expectations accordingly. Of course, this can be setup in many different configurations (date-based, high inventory, etc.). There is no date and time set meaning the message will be sent within the next 5/15 minutes after the relevant cell is populated. Response from the sales team has been phenomenal. They like being in the loop, they just don’t like emails (can you blame them?). Instead of calling each and every customer, which is time consuming and expensive, this accounting firm decided to text its reminders. Their CRM has an automated text system but it did not deliver the desired personal touch. So, they used Excel’s “concatenate” function to personalize the text message. A smart use of concatenation yields a super personalized and friendly message. Also note that the appointment date column is used to automate the sending date to 24 hours prior to the appointment. Is texting from Excel right for your business? We hope this gives you ideas you can utilize in your business. If you need to set up texting from Excel spreadsheets or Google spreadsheets for your business, text us, email us or set up a demo.